This article may not please you. In Letter to My Bully's Enabler upon My Resignation, I sought to encourage leaders to pay attention to signs of bullying and related behaviors in their organizations and to question whether there is a bullying epidemic they aren't seeing or are choosing to ignore. Leaders who have the power to end bullying and take concrete steps to do so don't need this encouragement nor need worry about resignation letters like the fictional letter in the article. 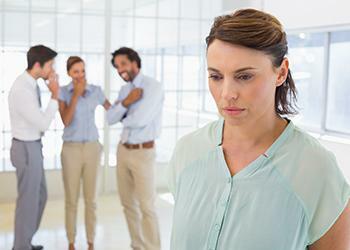 When leaders bully or enable others to bully, no resignation letter, article, or other form of advocacy will quickly, or perhaps ever, transform their hearts and minds or the organizations they so poorly manage. Acknowledge your situation. It is said that "hope is not a strategy." When faced with difficulties we may cling to hope that things will change. The bully will stop or be fired, we will find a new job quickly, or we'll win the lottery. Hope has its place, but simply enduring the situation on that basis won't change anything. While it is not your fault that you are being bullied, realize the bully has targeted you for some reason. While acknowledgment alone won't change your situation, it is a first step toward making a plan for action rather than wallowing in the problem on the vain hope it will go away. Maintain your integrity. We can lose our cool when under pressure and treated roughly. We may respond in kind, whine and complain, decrease work effort, and do and say things more likely to compromise our reputation than diminish the bully's. Bullies lack integrity, objectivity on matters for which they blame you, and perspective about how their shortcomings are the true source of their problems. Trust that others will see this and also your professionalism in contrast. While this may not carry you far in a truly dysfunctional work culture, compromising your integrity is never an answer. Don't whine, but complain constructively. One comment to the article suggested that bullying is made worse by individuals who whine about it and don't take action to leave if they are unhappy. While whining for the sake of whining is not productive, employers generally offer avenues for complaining. If you are comfortable, raise awareness of your concerns through these avenues, typically HR. Yet, even if you choose not to utilize such avenues, remain constructive, fair, and objective when you give voice to your concerns in other venues, such as among trusted colleagues who you've approached for advice. Navigate the system to find the best route. As suggested above, you may choose not to go through formal channels to address your concerns. One comment to the article suggested utilizing "informal routes of communication" or a "pipeline" to address concerns: "Carefully look to see who talks with whom, goes on break with whom. Once you have identified the pipeline, access it, and let your concerns rise to the top people." Again, do this constructively and without whining. In addition to creating awareness, the right conversation at the right time may provide concrete advice on how to navigate the system and identify solutions that are not available through more formal processes. Keep a record and consider how, and whether, you will share the information. Should you write a letter to your bully or your bully's enabler, such as the fictional letter in the article? Perhaps not. That letter is simply a vehicle to encourage leaders to pay attention to bullying in their organizations. Keeping a record of your experiences is helpful, particularly if you decide to formally bring your concerns forward eventually. Remain objective and factual and avoid incendiary and accusatory remarks and labels. A definition of "bullying" is not universally accepted, so explaining your experiences in the context of unfair treatment is generally sufficient. Take care how and with whom you share the information. It may be popular to share in social media, but your goal should be to place the information in the hands of those who can help you. Whether sharing with organizational officials or trusted colleagues, come to an understanding of how the information will be further shared based on general principles of confidentiality and "need to know." Know when it's time to quit -- and quit. While we should not be too cavalier with the notion to "just quit," as one comment to the article made clear, particularly in an academic environment where specialized fields make it difficult to find similar positions elsewhere, there comes a point where the situation becomes untenable. When your physical and mental health is at stake or your integrity and reputation may be compromised by staying, it may indeed be time to "cut bait." Be aware when you have reached that point and the costs of staying far outweigh the benefits. If you choose to stay, know why and how you will cope. Personal, professional, and financial obligations put pressure on us to stay employed, even in the worst situations. If you choose to stay, be clear why and certain that, for the moment, there are no viable options that would make your situation better. Then, do what you can to find support, coping mechanisms, and value and meaning in your work to sustain you in the tough moments -- and to maintain your integrity and protect your reputation in the process. Realize you have choices. We can fall into a trap of believing we are victims to bullies and the leaders and systems that enable them. When we realize that we are not to blame for the poor treatment and that no situation warrants continued suffering -- either by remaining in a bad situation or by not responding proactively to the bullying -- we empower ourselves to face the hard realities of bullying and to make the hard choices that will provide a path forward to better circumstances.